If you don’t have social media presence, your personal brand will wither up. Period. Social media is no longer simply a light-hearted, youth-oriented way to differentiate yourself – adopted by virtually every demographic segment, “social media is now perhaps the most powerful tool in your competitors’ suite of marketing tactics”. Online marketing with social media is less about following traditional wisdom & more about finding ways to engage target audience. 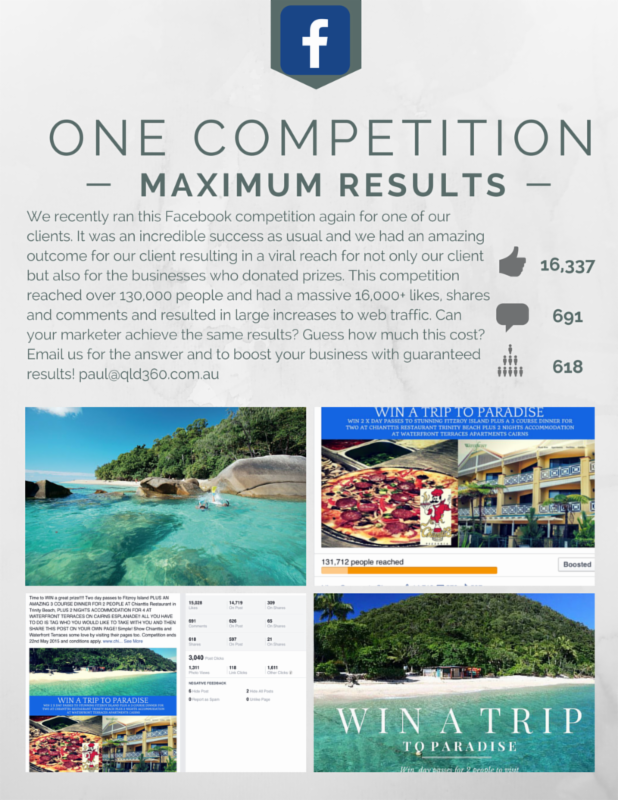 14 million Australians use Facebook as at April 2015 with the average user spending 2.1hours per day on social media – most of your existing customers & potential customers are already on Facebook, check Facebook updates & post on Facebook regularly. Facebook fans are more likely to buy (& spend more on), consider, & recommend the brands they engage with on Facebook – being a fan of a hotel Facebook page nearly doubles the chances that a customer will book – targeted promotions can drive business exposure quickly. Social signals have the most influence on SEO for your website — recommendations through Likes, Tweets & Google+ account for 7 of the 8 most highly correlated ranking factors in Google search results. Online marketing campaigns are quantifiable with detailed traffic & click reports from online services so you can easily measure what is working for your business. In addition to measurable results, online marketing campaigns through social media can be run at a fraction of the price of traditional media marketing & advertising. Don’t be misled – it doesn’t take much to increase likes and traffic on a Facebook page and there are plenty of so called social media experts who can do this for you. We take it a step further and will help you generate business from your social media pages. We offer a full social media management package and work with you to maximise results including direct booking requests for hotels, restaurant reservations for well of course restaurants, hairdressing and wedding appointments for hairdressers to name just a few. Social Media & Website SEO. What does it take for a business to be found on the front page of Google Search? Domain name? Keywords? Alt picture tags? Metatags? Relevant fresh continuously updated content? One thing is for certain – SEO has changed even in just the last 6 months. What was relevant years ago to help achieve a high search ranking can now sometimes have negative search ranking value. Another is certain – it definitely helps your business to have a 100% accurate, up to date social media presence – a 2014 Searchmetrics study found that this correlates to the majority of the top 10 search ranking factors. One time setup fee or full management?